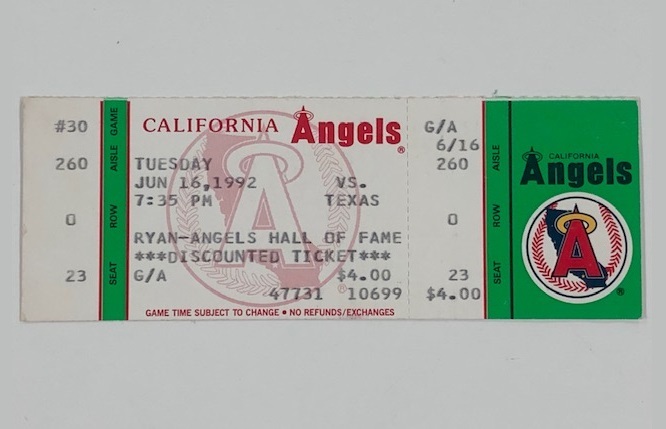 This ticket is for the Angels home game on June 16, 1992. 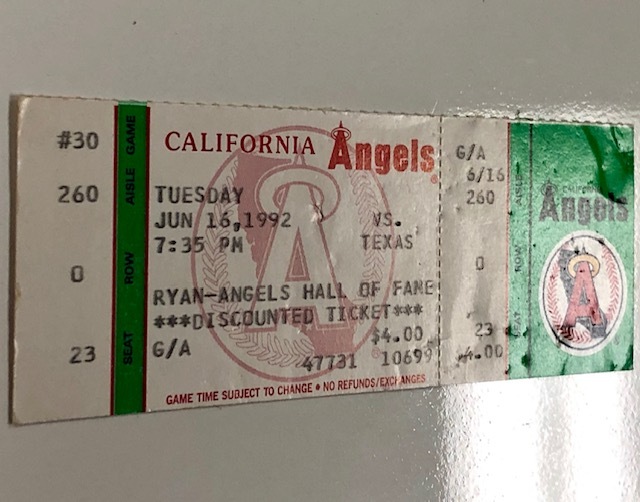 Before the game, Nolan Ryan was inducted into the Angels Hall of Fame. See photos for condition, as the surface has some indentations. We have more collectible game tickets available in the Collectible Tickets category.